I honestly like this app! It has some good music but... it doesn’t have every genre of music. I feel like it really only has rap and hip-hop and it’s a little bit *really* annoying! I don’t like that it does that and I don’t really understand that we can’t make a playlist offline if we can make all of our music that we listen to offline.. I don’t I guess it’s fine but you know just try it out and see how it works for you. I actually did nothing wrong and I got banned from uploading in audiomack. This is ridiculous. I LOVE THIS APP SOOO MUCH !! 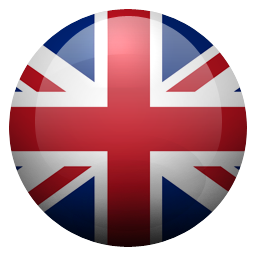 Very good app and I've fallen in love with it. The only issue I have is that when I'm listen to the music, it will speed up so it plays at twice the speed. I can’t believe that I finally found an app that actually allows you to play music offline! I was able to find every song I was looking for, the layout is amazing and the app does exactly what it says! I’m extremely satisfied! This app helps me so much everyday! It’s free,you can download all th music you want and it’s great for on the go.I love his app! Let’s you play music offline and you don’t have to pay for it!!!!!!!! I really love it I have all my songs here downloaded but all the time it deletes some songs and I go back and download it again then it just deletes it again which I hate can you fix this please like I love the app but that feature makes me want to get another music downloading app. i can finally download music for free, and listen to it offline. thank you so much! i dont mind the ads when i have the option to download; a whole lot of love for this app!! I’ve had this app for a few years, and it’s probably the most efficient app for free downloadable music. The only bad part is that some songs you want *might* not be on there. Overall pretty great music selection, and unlimited music/playlist/favourite, music! I was excited for this app considering it had great reviews but I was severely disappointed when I realized they have none of the songs I listen to. If you have music taste that isn’t basic you might not be able to find your favorite songs here. So this app is awesome I’ve been using it for about 1-2 years now and, honestly this app doesn’t really have any problems with it I just wish that it had a few songs I listen too so I can listen to them without having to go into a different app and let it load for 5 mins before I can listen to it. THIS. APP. IS. AWESOME. I got this app because I don’t have cellular data but still wanna use my AirPods on the way to and from school, and this app, WORKS AMAZINGLY. It literally takes like two seconds to download each song, and I HIGHLY RECOMMEND. This is probably the first offline music app I’ve used that works so well. I love it so much, thank y’all for making this🤗. For you people debating whether you should or shouldn’t download this app, it works. I would download a song and then a week later it would be gone. I go to the “restore previous downloads” page and try to download them back but it doesn’t work. I can’t get any song from Billie Eilish without it doing this. Pls fix. Even though I still love this app. I do not understand why they changed it ???? It no longer plays when I close it. I would love to play music on the app while using other apps on my phone. 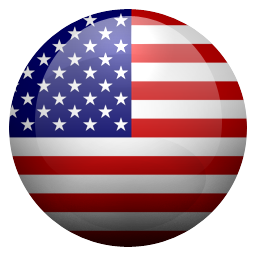 I am not sure if you can make your own uploads, or where to do that, besides that, it works perfectly, and no bugs so far! I don’t know what is happening with your app; whether it’s the update or what, but when I start to play a track, too often it starts to play for 2 seconds then stops. I’ve restarted the app and it’s the same thing. I absolutely love this app because it has loads of music that I love and I found a lot of cool music in the browse section. I completely recommend this app and I even got on of my friend to download it and she loves the app as well. The only problem I have is when you download it, the songs take forever but that is probably my WiFi. And I also don’t like when the song doesn’t download, it will just put a little yellow caution sign saying it failed to download. Also it won’t let me listen to the song I’m trying to download. But still, this is an amazing app and it’s still a 5-star app. For some reason now Audiomack just stops playing the music when I click a song to play. Can you fix it please. So I am so disappointed in the new update. I can’t listen to my music and multitask anymore. You have to have the app open for the music to play now. Great app needs some improvement please read!!! Audiomack is a great app! I just wish it wouldn’t delete your songs ! My mom was the one to introduce me to this app, and never in my life have I regretted the decision. I use this app since I’m a crazy person about music and use it to tune in 24/7. The ads are not annoying, they’re almost predictable. The only problem I really have is the fact there really isn’t a rock or metal section yet. I can’t click for easy finds of rock/metal since that is what I mostly listen to. I usually have to go on a hunt to find the song I want to play since there’s not specifically a playlist or section for the music and if no one has put it up I’d just have to go to YouTube and listen. If I am right I think they still don’t have a country, jazz, rock, or metal genre set up yet, so don’t get too excited, you’re going to have to search. Rap, Hip Hop, and R&B,(...) are genres available since its mainstream in modern day society. Another problem I have is with the remixes, but I think another reviewer has touched on that subject. But it’s not a big problem because I went to search up stairway to heaven by Led Zeppelin and it popped the original up unlike the last time I did it. I usually use this app to listen to offline music when I’m going somewhere or if I’m bored and it’s really cool. If you’re one to like things FREE just download this app because guess what? It’s the best app I’ve downloaded. The shuffle is bad, but overall this is a great music app. The only thing that would be missing is the "Sleep Timer"
This is the best music app I’ve ever had but the only thing is when I go to watch a short video on Instagram or snap it always unshuffles my music so then I have to restart my shuffle every time. On other apps it just pauses my music and never messes the shuffle up. First of all this app is amazing it actually lets you stream offline and you don’t have to pay but it doesn’t really have all the new hits or new songs that’s the only thing I recommend but it amazing and you don’t have to pay to stream off line. SOUNDS LIKE A DEAL TO ME. Sometimes my music will randomely be deleated from my playlist. Every time a close the app all my music gets deleted and I have to download it again and again and its getting frustrating. Need help please fix. Since I’m always offline I tried looking for an offline music app, I found one but then it stopped working so I searched for another and found this. It’s pretty awesome and is the best music app I’ve had the only problem sometimes it can be a little hard to find an exact song the exact way you want it but I usually overcome that. Now I can listen wherever I go, offline or not! They don’t have most of the songs I’m looking for it’s always a remix and they always take songs off my playlist that I can’t find again. It’s good, but how do I turn it off when it’s not in use. Like I wouldn't open the app but it's still playing music and draining my battery. I like the app and it’s almostttt perfectly fine, except the fact you can’t move songs around. It would be very nice to hold down a song and be able to move it from like the top of the play list to the bottom ya know? Just a suggestion, other than that it’s perfectly fine! I don’t usually write reviews, and i am under the age of 13. i love the app, especially that it is still a great app even though you don’t need to pay. You can skip songs, and the ads aren’t overwhelming. But I am currently having some problems. First, When i download songs, i can only download up to 13. If i download for example, 14, one of my previously downloaded songs gets deleted even though i did not delete it. Second, some of my downloaded songs do not show up in my offline section, but when i search it up, it says i have it downloaded. For example, i download a song like Havana. Then, when i have no internet, i want to listen to it, but it somehow doesn’t appear in my offline section. About two or three of my songs are like this. Third, I just want to say that many of the songs here aren’t the original. Majority of the songs i have been searching up only resulted in either remixes or covers, not the original song that we want to hear. I hope that these problems will be fixed in the next update! Keep up the great work, and please fix these bugs! 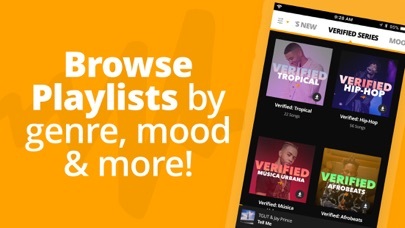 A really good music app replacement for Apple Music. Great style, convenient to use and it’s FREE. You can pay to remove the ads but everything else is FREE! And who doesn’t like FREE?! However I find some things still missing. First thing, the major problem, is that they don’t have all the songs. So if you really like a song and want to listen to it, it’s kind of disappointing that they don’t have it. Second, you can’t listen to your playlists offline. The offline function only works for each individual song. I’m a bit tired of opening the app again searching for the song I want to listen every time another song ends. Last thing, rarely happens, (still not so much buggy) but crashes. Overall, I really like the app but if you made these improvements, I think this app will be unrivaled! So I give this app 4/5 stars! I LOVE this app. Up to this point, this has been my first choice when it came to complete reliability and choice in music. The only things that I want to call out are 1) the fact that when I want to use the A-Z option in my offline music, it feels like it’s randomizing it. I wouldn’t have a problem with that, but it seems to be putting the songs in the same most inconvenient places every time. One song will be in the middle that starts with an A, and then there will be a song that starts with a T or any other song that does not follow the pattern I requested. 2) Sometimes when I search a particular artist that I know is on the app, it will say that the app can’t find the song. Still just the minor inconvenience of having to just search the song. That’s it. Have a nice day! I’m dead at how good this app is I’ve been looking for years for a app like this and now I’ve found the one. although I love the app I have one small problem whenever I really like a song and I want to download it you can’t find the original song I usually find remix’s or mashups or chopped versions of the song also another thing I want to say is that after I download the song it might give me a little note saying the song was removed by the owner or something like that but I’m not going to get mad at that because that’s not the apps fault . Overall my favorite app of all time. But I hate the fact that after you download your music it says that the music was removed by the artist and that makes me sad because a lot of my favorite songs get deleted. this app is by far one of the best music apps i have come across. i would have rated this 5 stars but, recently i have noticed songs disappearing from my playlists and downloads. at first i was like “oh it’s probably copy righted or something” and just downloaded a different version but, recently this have been happening more and more recently and it’s hard to keep track of what songs are gone. i was just wondering if it’s possible for you to add like a feature that can tell you what songs are gone or something like that? if something like this was to be in the app i would definitely rate a 5 star! this app is absolutely amazing and satisfies all of my musical needs! This is the best app so far for music that I’ve used. I only have one pet peeve. This app doesn’t have a lot of originals, it’s filled with remixes. But I’ve found quite a few originals. I love that there is an offline music option, I don’t have to stay connected or connect periodically just to listen to music. I’m also pleased that no money has to be spent and that although it has adds, they’re not crazy, and a appreciate that they are predictable so i am able to close them off almost before they pop up. (They don’t bother me because when i listen to music my screen is either off or I’m doing something else anyway). I love how easy the app is to use. Please! Keep up the GREAT work! THIS APP IS AMAZING!! You don’t know how long I’ve been looking for app where I could play music off-line. But one thing I must say that I truly dislike about this app, is the fact that after a while you start to see all the songs that you downloaded, mysteriously disappear. I thought that maybe it was because something was wrong with my app, or the song didn’t fully download. I have to say this bug is truly annoying, and I wish that it could be fixed in the future. or at least I would like to know why all my downloaded songs are being deleted. Help? 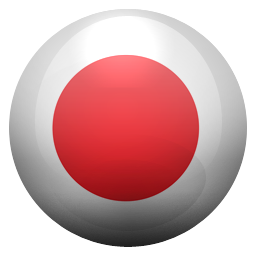 But if you are looking for an app that is free, and you can play off-line music, then this is the app for you! The app is amazing but.. This app is absolutely awesome, I listen to music all day no matter where I am. The only problem with this is that it doesn't work with Apple watches, which is a bummer for me, as I run track and running with the watch is easier and more efficient than running with the phone. However, I can't listen to music when running with the watch, unless I pay money on iTunes or Apple Music (which I would never do thanks to this app!). So this is an overall great app, but the compatibility with Apple watches would REALLY put it up a notch on the "epic scale". This app is great for me so far but recently I have been having trouble because I can't find the song I want like I tried to look up an old song called starships from like 2010 and nothing came up like they were ransoms songs that weren't even called starships and stuff.. so I can't find the songs I want and also recently I had a couple songs by XXXTENTACION and like they've been getting deleted without my permission and then I look it up and have to download it again even though they were fully dowloaded.. so I would ask to make more of a selection of songs mostly. This app is pretty great otherwise! I really like the audiomack it’s offline,free and also music doesn’t stop when you close the app. But it’s still missing some things Most of the time it has all songs I really like but sometimes when I want to listen to specific remixes it can’t find it And also some of the songs end too early then the original version (1 minutes early and it sounds like music was edited and they cut the last parts) besides that its the best app I’ve purchased last few months cuz the apps i was using is no long available on appstore and I always have problems with finding apps like this. Why is this not top of charts? I had tried music apps in past but I did not want to go threw google drive download and connecting to computer for one song. 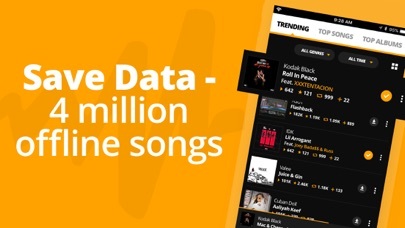 This app makes it simple, you look up the song and download. It takes me about 1 second; Also you can make playlists for favourite music. Also this app has just about all songs you can think of. The only place you are limited is ad's, no need to worry they are not frequent and!! THEY ARE NOT VIDEOS, amazing 5 stars. I was hesitant at first to download this app since I’ve already downloaded like 5 other apps that hopefully would let me listen to music for free and offline. Unfortunately, none of those other apps actually worked “offline” and I was ready to give up until I saw Audiomack. This app is great and it actually lets you listen to music for free AND offline! Also 9/10 times you can download the actual song you are looking for! Totally would recommend! Okay so I’m not usually the report an app person, but here I go. I’ve been looking for a music app for like a year now, and this is by far my favorite one. But there is one problem: You can only download like about 10 songs. If you download another one, it undownloads a different one. This is annoying because the same 10 songs gets boring after a long road trip with no WiFi. I hope you can fix this, but I mostly use this app at school which has wifi. But overall a good music app. First of all this app has almost all my favorite music. I love everything about the app. As a recommendation i would appreciate if you could make it where you can create my own playlists that are downloaded to be used offline like for example having a rap playlist that has my favorite rap music that is downloaded for offline use, then having hard rock playlist downloaded to use offline. But other than that this app is the greatest and like i said i would REALLY appreciate it. This app is great I love the whole feature where I can just listen to my music offline for free however the music selection is very limited and I feel as if this needs to have all the songs from any album of any genre of any artist I recently lost one of my favorite songs because apparently it got deleted so please fix the music selection other wise I’ll end up with listening to nothing. I have search high and low to find a music app that is offline because when I go to school, I like to listen to music while we are riding on the bus. I haven’t had any problems with this app. I rated this 4 stars because my favorite song wasn’t in the app. I know that you guys can’t always put every single song in the entire world on the app, but I would appreciate it so much if you guys could add the song “ I prevail blank space” in the near future. Thank you for creating this app. More updates in the near future please. Ok so this app is really good! It’s offline,It gives you music,it’s amazing but the thing is you can’t get all music you want like I was trying to search the song YOSEMITE by Travis Scott and it only had remixes and that made me a little mad. Another thing is they are made by other people and that’s probably why you can’t get all the songs you want...Please update it so it will be made by the real artists and not other people but so far the app is good but this is just all I want. Reply to this if you have any problems :). Thanks! GREAT!! One thing to improve. I love this app. You can use it anywhere if you download it offline. The music quality is great and there is practically all the songs you will ever need. The only thing I would improve is to allow the app to be downloaded on an Apple Watch. Another thing is to be able to download it into Apple Music. This would be great because I can access music while working out without having to pay. Other than that, GREAT!! My FAV for years, ups and downs.... and have introduced many friends and musicians to this app and all have positive feedback! Offline downloads keeps me going on all my gadgets. However.....Favorites “⭐️”.... by far is my own choice for best feature because my music is now with me on all of my devices! Remix after remix, even for the same song occasionally, captures not only my moods but always my unique styles and ear for playful sounds. I’ve been searching for a downloadable music app without only covers/remixes and this ones s winner. I love the option to download, or make a playlist for internet. I also really like the ‘feed’ option so that I can see when one of the artists I like comes out with a new album or song. The only things I would like to see is more rap songs, and less covers. I tried to download Andre nickitina and there’s none😧 but still 5 out of 5 starts. Current bug with album uploading. This app is amazing, but as an uploader, when I upload albums, all the music within the album will be uploaded with my profile picture instead of the artwork I selected for the album. I’d have to go through manually and change the artwork for each song within the album, and having this fixed would be a quality of life change and a time saver. I love this app I can’t live with out it it has all my music I want to listen to for FREE!!! And I can listen to it offline this is the best app for music HANDS DOWN!!! But one thing I hope they change is when you download a song and it gets copyrighted it gets deleted off ur playlist I hope they change it to where you still keep it but just can’t reupload it or favorite it. 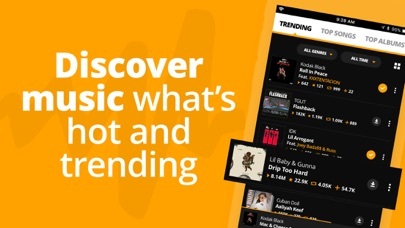 The only reason why I don’t say 4 stars is because I love everything about audiomack except I feel that there should be a most recently played or history tab on every platform so that if you play a track and want to go back to it, you can still find it even though it’s not in the feed section anymore. If there is I don’t see it. Other than that it’s perfect! I’ve used/tried plenty apps for music. Thanks to Audiomack, legit any song I search to find is there. Sometimes songs might be chopped&screwed for copyright reasons. 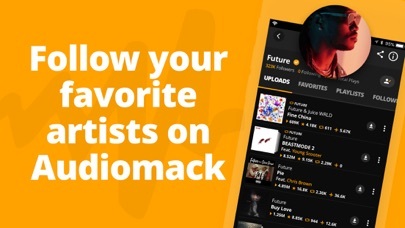 However, what I like most about Audiomack is if at anytime a song(s) is removed from Audiomack/your library completely, they’ll tell you which ones they were that way you know what songs are missing. Best app for music imo! I messed up and deleted my Apple Music and I cant open it for like the next century so I needed an app FOR FREE AND THAT ALLOWS OFFLINE MUSIC AND IS ACTUALLY GOOD ; LIKE THIS APP . I’m so happy I found this because it basically saved my life thank you for making this app , but one thing is that when it’s offline the songs do work but the playlist I’ve created don’t open unless I have a WiFi connection even though I only have offline music in them but it’s okay! Being a person that loves music I always try to find the perfect music app for wherever I go and what I do. 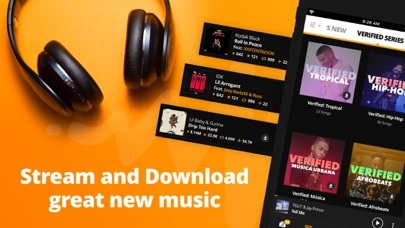 I came across AudioMack, and it was actually something I was interested in, I appreciate a music app that’s free, I love the offline play for when I don’t want to waste data and I just love how I can make a playlist. I give this a 5/5 star, and I think it’s definitely worth it, it won’t be a waste of time! I really love this app and I use it everyday, but sometimes when I have some of m favorite songs or albums downloaded they get deleted. I go to my offline section and it says that it’s been removed and it happens more then once. It aggravates me because sometimes I download it and in an hour or two it’s gone. I would like to be able to keep my music that I have downloaded because all of my favorite music is getting deleted.